Have you ever been to a steak house that offered beer bread with your meals? I’m thinking of one specifically that offered large mini loaves with your own cutting knife and whipped cinnamon butter… Mmmm… I’m not sure of the name of the place though, maybe Saltgrass? Outback? My memory has failed me, yet again! Ever since Mr. Crumbs and I had to cut back our budget (and I mean REALLY cut back), we stopped going out to eat as often. We treat ourselves now and then, but it’s usually on anniversaries or to share our favorite place with out-of-town guests. …and it has surpassed the potato buttermilk in being the favorite. I think we’ve eaten more sandwiches (and toast and even plain bread as snacks) this past week because we want the bread instead of the stuff that goes in between. I haven’t come across many people who have heard of beer bread and of those who have heard of it, they thought it was “difficult” or “complicated” or “elusive.” Let me put those myths to rest. This recipe is BY FAR the simplest bread recipe I’ve made so far. Truly, it is. If you’re new to using yeast, try this recipe first. You’ll love the results and feel empowered by the success to try another new recipe. In a mixer or large bowl, combine the dry ingredients. Add beer and milk and mix by hand or on low speed until the dough comes together. Add additional milk or flour as needed and knead until the down is smooth and elastic. Transfer dough to a large oiled bowl and cover with a towel. Let rise in a warm spot until doubled in volume, about 1½ hours. Grease two loaf pans with cooking spray. Punch down dough and shape into loaves. Place each loaf in a greased pan and cover with a towel. Let rise in a warm spot until doubled in volume, about 1½ hours. Preheat oven to 350 degrees. Bake the loaves until the crust is golden brown and the bottom sounds hollow when tapped, about 35-45 minutes. Remove loaf from pan immediately and let cool completely on a cooling rack before slicing. ** If you don't have bread flour, substitute all purpose flour by adding 1 tablespoon of vital wheat gluten for each cup of all-purpose flour used. ** I've made this using both buttermilk and a milk/vinegar buttermilk substitute and both have come out delicious. As I mentioned, this bread is excellent for sandwiches or slathered with butter. I haven’t made cinnamon butter yet, but if you’re interested, start with 1/2 cup of butter and 1 teaspoon of cinnamon in a large bowl. Gradually beat in 1 tablespoon of honey at a time until you’ve reached the desired sweetness and consistency! Want more recipes? Like us on Facebook or follow us on Instagram! Have you heard of or tried beer bread before? That’s what I’m talking about ! The pictures of your bread loaves always look soooo yummy ! And whipped cinnamon butter – mmmmmmm. You come through once again. I was thinking the other day about this great bread mix sold by Tastefully Simple called Bountiful Beer Bread. The only problem is the cost of ordering it, $5.99/box = 1 loaf. This is not what I call economical. I was going to search for a recipe for beer bread and now I don’t have to. Thanks again! reminds me of some biscuits my dad used to make when we were kids. Sounds good. Thanks for the post. How unique! I love this! Thanks for sharing at Church Supper. Have a blessed week & come back soon! Warm bread is heaven! This just looks yummy! My favorite thing in the whole world, homemade bread. I hope you will be sharing this at my linky party! Ooooh Yummm, my man would love this, i will have to make his some for sure. Will do – thanks Dayna! 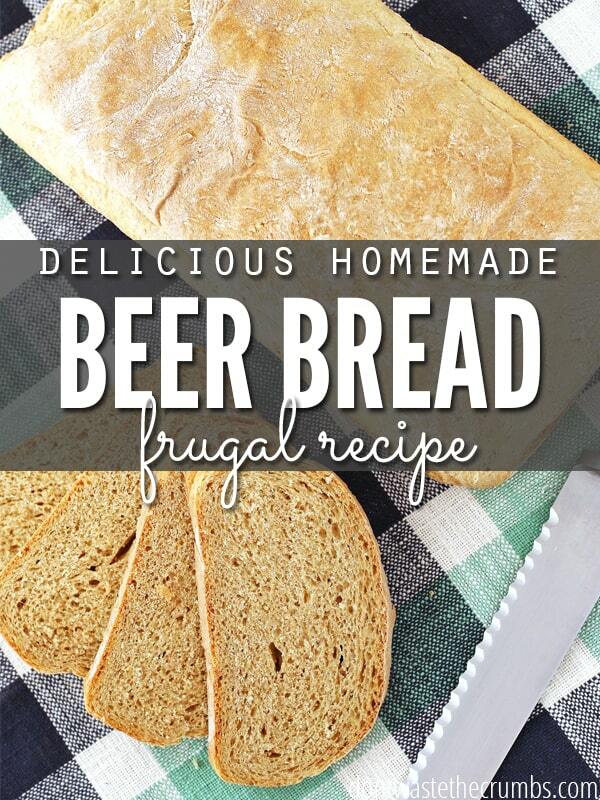 I’ve never tried beer bread before but it sure sounds yummy! Hope you can check out my latest DIY. This is awesome. I have been looking for an easy bread to serve during football season with chili and soups. This fits the bill perfectly! 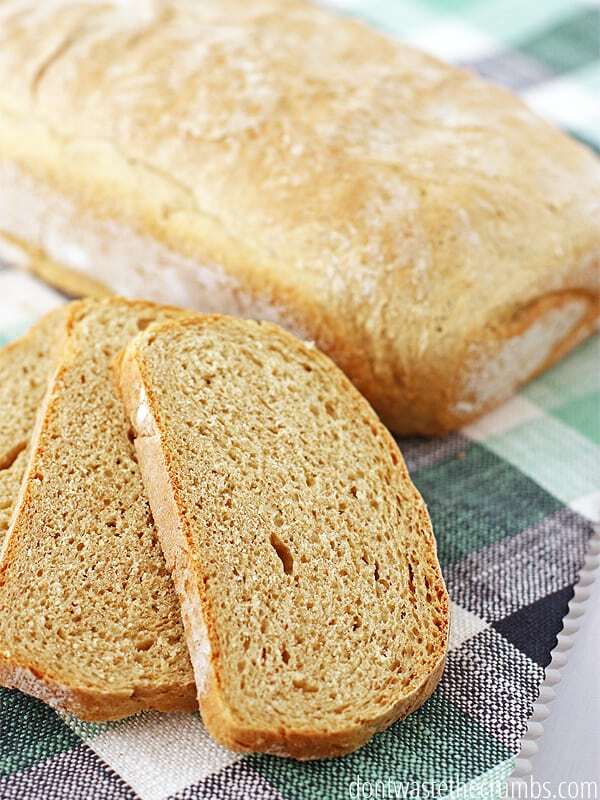 I just came across your beer bread on the Allergy-Free blog hop- and I SO wish I had a few slices right now. With cinnamon butter! It sounds fantastic. I’d love it if you’d drop by and share this with BYOB-BakeYourownBread this month ! Thanks Heather! BYOB is right up my alley this week! The beer seems like it would make for a light and yeasty loaf, yum! Thanks for linking up! I must try this!!! It looks soooo tasty! This is the best quote: ” It’s like time and effort melted into edible love.”! I could not agree more and your beer bread looks so tasty. I could really use a slice or 3 right about now. Thank you for sharing this with BYOB! Thank you for participating in Show Your Stuff Blog Hop, You are invited to come back! Beer bread is sooo good! You are right…you really don’t need butter with beer bread! I just pinned your great recipe, thanks for sharing with Full Plate Thursday. This sounds delicious! We would love to invite you to join us on Saturday Show & Tell on Cheerios and Lattes! I know my readers would love your awesome ideas! Have a great weekend! This sounds fun and looks so tempting. Thanks for sharing this week on BeColorful. Sounds super yummy! I love homemade bread, and I don’t make it nearly enough. I just may have to try this recipe. Thanks for sharing at I Made It! Monday. Can’t wait to see what you link up this week. Never heard of it before, but I’m putting beer on my shopping list now! Beer bread is one (and possibly the only) reason we used to dine at that steak house. A few loaves of this, a loaded baked sweet potato and a side salad…Mmmm! No one gave steak a second thought! Sound Delicious!! I love beef bread in my breakfast. Thanks for sharing this awesome recipe. Hi Kate! Yes, it is 2 tablespoons of yeast for this recipe. No bread blobs on your floor, I promise! Thanks….I can’t wait to try them this weekend, well, I might not get all five done, but def the beer bread.